The decision was made to marry the Dauphin (heir to the throne) to a princess of the hated French rivals, the Austrians in an attempt to help relations between the two countries. This was one of the more strange marriages of the time since the boy who would become Louis XVI (1754–1793) was such a painfully shy, socially awkward kid that even his parents had ignored him for much of his life, and the Austrian princess Marie Antoinette (1755–1793) was a popular and attractive young girl. Louis was taught in an extremely conservative manner while Marie would be taught little more than manners and necessities of court life, neither of which would prepare them for the difficult decisions that lay ahead. Since it was normal for the monarchs of Europe to send their daughters to marry into other royal families for some kind of political gain it was not unreasonable to match these 2, despite the fact that they were actually 2nd cousins (once removed). Since Kings usually tried to create the most amazing weddings they could for their heirs, the wedding for the two (1770) was regarded as quite spectacular despite their money issues. This did not, however, start as a very loving marriage. The shyness that was a trademark of Louis’ personality, and a medical condition that he was afflicted with would make it years before the two would consummate their marriage. During this time period, the French would spread a flurry of cruel jokes about the couple, and since it was the job of the wife to have babies (preferably males) Marie would become the center of most of these jokes. This issue lingered for so long that the couple would endure these jokes even after they would have their first child, and the negative feelings toward Marie would never subside. hate the country each came from. In order to make herself feel better she would spend her time in a number of different activities, including gambling, partying, dresses and hair designs. She is well-known as an excessive spender in history, but her spending was far from abnormal for Queens of the era (who were supposed to look better than others). 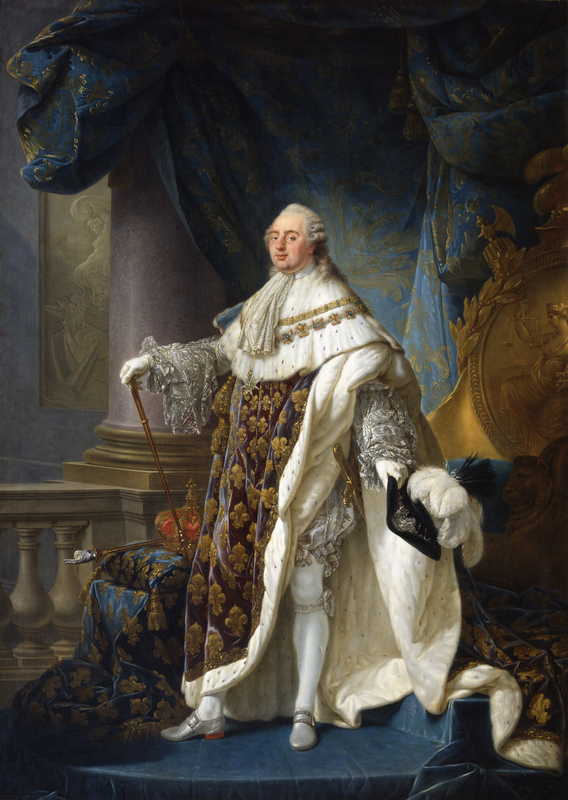 Louis tried make some liberal changes based on enlightenment readings during his life, which was unique from a King who had been taught in the ways of the ancien régime. The nobles may have hated this but he did make a few modern decisions in the years before the revolution, the most important of which was the Edict of Versailles (1787). This edict took a step toward religious toleration by allowing non-Catholics legal status, which would end 100 years of strong persecution. He also spent years trying to fix the issues with the economy by bringing in different finance ministers to help, but the nobles refused to allow changes that would hurt them so they never got anywhere. Tensions between the nobles and the King were high during this time, to the point that they would sometimes openly defy him by refusing to take their hats off for him. As bad as things were for King Louis, Marie was having a much worse time trying to find a place for herself in this new country. She had been unpopular from the start because of her Austrian heritage, but things had begun to spiral out of control at this point. Her lavish spending may have been normal for her position, but since she was already disliked this was seen like a slap in the face to the millions of people who were struggling in France. The people started to fabricate stories about her and spread the gossip, and despite not usually being remotely true, they were often accepted by much of the public. One such story was created as a reply she gave to a court official who let her know that there wasn’t enough bread to feed the people, to which supposedly replied “let them eat cake.” While this is not a true story, it does represent the type of person that the people of France saw her as being. It also gives current students ideas on the reasoning behind many of the later movements against her.